With the holidays coming up, you can make your shopping easy by picking up a gift basket. There's even a gift card included for you to write a nice note to your lucky friend who will receive it! ​ Available at Adjectives Market in Winter Garden or contact me below. ​Condition your thread with local (FL) 100% organic beeswax. Helps thread glide through fabric and prevents knots. Beeswax reduces wear and tear on your thread while stitching as it creates a protective layer between thread and fabric. 1.5-ounce beeswax bar in a tin for storage. Rub on your hands, elbows, and feet to moisturize. It's awesome on your heels! Made of organic beeswax, coconut oil, shea butter, vitamin E oil and peppermint essential oil for a fresh, clean scent. All natural and handmade, comes in a tin for storage. The following items are sold only at Adjectives Market in Winter Garden, Florida, and are not yet available for purchase online. Mild, luscious lather and heavenly, relaxing scent. Lip balm is smooth and creamy, so good! SOAP: organic coconut oil, olive oil, palm oil, grapefruit seed extract (natural preservative), lavender & peppermint essential oils (approximately 4 oz). ​COST $10. Also available: lip balm 3-pack for $10. 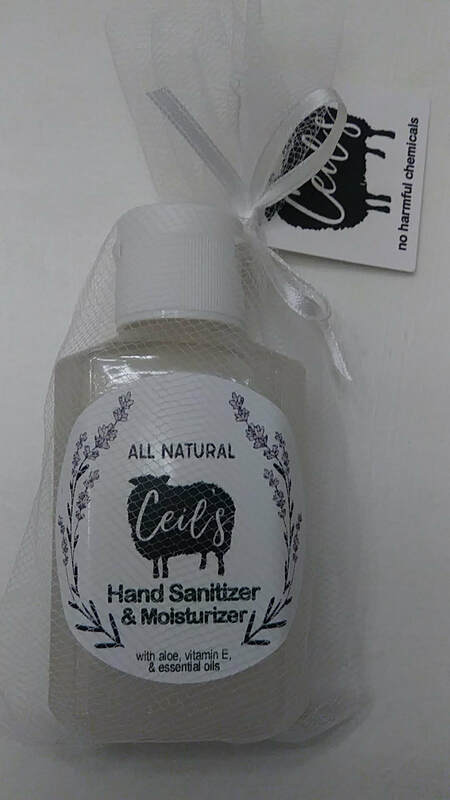 Not only is it great for dry, cracked hands, elbows, and heels, it also soothes welts, burns, insect bites, and bee stings. ​Essential oils give it antiseptic, antifungal, and antibacterial properties for cuts, scrapes, post-wound care, eczema breakouts, and diaper rash in addition to providing a fresh, lemongrass scent. Also helpful for elderly with thin, fragile skin. Contains: organic coconut oil, olive oil, local (FL) beeswax, vitamin E oil, lavender, lemongrass, tea tree (melaleuca) essential oils. ​COST: $12 for 4-oz. jar. Sanitizing. Relaxing. Spray in the air or on sheets to freshen and also sanitize. Great way to protect against cold and flu germs while making your house smell wonderful. ​Contains: distilled water, isopropyl alcohol, lavender & peppermint essential oils. Peaceful. Relaxing. Calming Roll on wrists, temples, back of neck, or bottom of feet to help you relax. Also can help alleviate stress that causes headaches. ​Contains lavender & peppermint essential oils in sweet almond oil. ​COST: $20 for both, including lavender bud sachet. Refills also available. Cocoa butter: organic local (FL) beeswax, coconut oil (infused with calendula petals), cocoa butter, vitamin E oil, lavender, peppermint, & rosemary essential oils. COST: $10 for approximately 1.5 ounces in a round tin container. For times when you need a tissue, you want it to be nice and clean and also contained in a cute fabric holder! Choose from several floral designs to keep your tissues safe in your purse. The lip balm will keep your lips nice and smooth, too. Make washing up fun again with these luxurious washcloths. They can be used in the bath or kitchen. Get a set for you and one for a friend! After a long, hard day, it's so nice to relax with the wonderful scent of lavender and peppermint. Pamper yourself as you steal away for a quick nap with this pillow over your eyes, blocking out the light and the cares of the world. It can also be put in the freezer or microwave, depending on if you want cooling refreshment or warm comfort. Contains organic flax seed and lavender buds in a flannel-lined satin pouch. COST: $10. Also available: neck pillow, $18. Everyone needs a fashionable little bag to store her stuff in - cosmetics, sewing supplies, whatever you need to carry around in a stylish manner. These are fully lined and make wonderful gifts. Better yet, fill them with my herbal products, and give as a gift to your friends - they will love you forever! I love to experiment with herbal recipes, so there is always something new to discover. I just developed an all-natural hand sanitizer made with aloe gel, witch hazel, vitamin E, and essential oils, and I'm currently working on a spray version. In 2017, I became a vendor at Adjectives Market, located in the heart of historic downtown Winter Garden, Florida. My friend Susan Steele Meyer is sharing her space with me, and we make quite a team! Susan paints porcelain, and she's the one who painted this amazing "Celebrate!" cookie plate. Susan has lots of beautiful items to choose from, and she also does custom work. Her daughter Sophie (who also happens to be my former student) is the graphic artist who designed my new logo. I LOVE it! Adjectives Market is on Plant Street across from the Garden Theater and right next to Rosalie's, a wonderful little French Cafe, so when you come to shop, you can also have a great lunch. Come by, sample my products, and do a little shopping for yourself and your friends. family reunions, corporate events, and any special occasion.